Our Fearless Leader has been Arrested! HELP MARY-ELLEN GET OUT OF JAIL! Our Executive Director, Mary-Ellen Everatt, has been arrested. She needs to raise at least $2000.00 in order to post bail - help her out while supporting the United Way. The funds raised from this great Jail & Bail event will continue to help the people of Kamloops. Our centre, the Children's Therapy & Family Resource Centre, is supported greatly by the United Way on an annual basis. Please, help the United Way continue to support CTFRC and the sevices we provide. Also, Mary-Ellen looks terrible in orange, so let's get her out of there! Click the link to go to Jail & Bail - making a donation is very simple & you'll be supporting a great event (all monies raised in Kamloops stay local)! For more information on how YOU can participate in Jail and Bail IV, please visit us at www.jailandbailkamloops.com. Money raised from this event is supporting the Thompson Nicola Cariboo United Way. 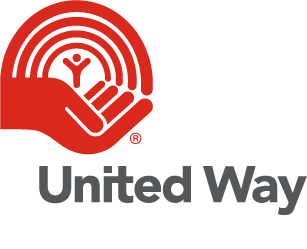 United Way is working to make our community the best it can be by focusing resources in the following places: poverty, children & youth and strong communities. This fundraiser allows United Way to say “yes” to investing in pivotal programs needed in our community. I greatly appreciate your support and the powerful impact of your gift.